Crash test dummies representing an average-sized adult male and a small-sized adult female are placed in the driver and front passenger seats, respectively, and are secured with seat belts. Vehicles are crashed into a fixed barrier at 35 mph (56.3km/h), which is equivalent to a head-on collision between two similar vehicles each moving at 35 mph. 1 star is the lowest rating; 5 stars is the highest. More stars equal safer cars. 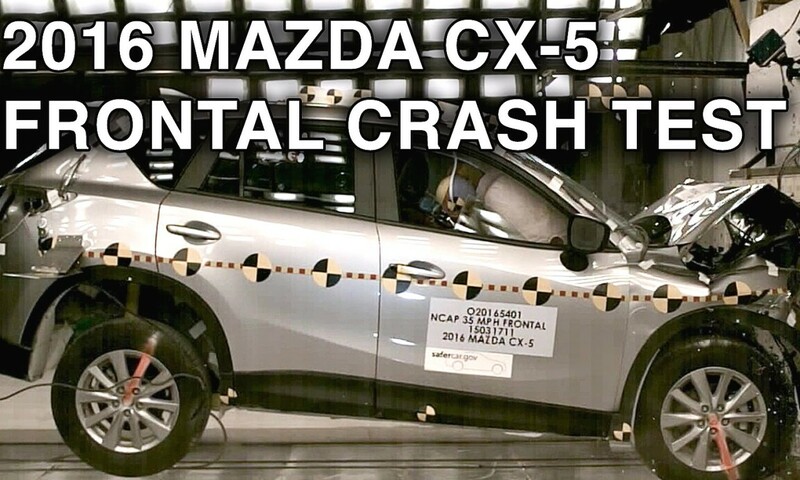 Posted On September 17, 2015 in CX-5, Mazda with 0 Comments.Tagged: Cars, Crash Test, CX-5, Mazda, Mazda (Automobile Company), Mazda (Automobile Make), Mazda CX-5, Mazda CX-5 (Automobile Model), SUV.